Facebook has released details about a new feature that allows businesses to easily promote their posts and get updates in front of more eyes — for a fee (You Pay to Promote Posts). Although it was reported earlier this month that Facebook was testing a “highlighted posts” feature, the company has now made it official — with a page that explains how the promoted posts will work. “When you post on your page, it currently may only reach a limited amount of the people that Like your page each week,” a Facebook staffer says via a video posted on the social network. If a coffee shop wants to let its Facebook fans know that it’s having a 20% discount special, for example, the merchant can promote that post so it gets better placement in its Facebook fans news feeds. Businesses can also target posts based on specific location or language, and will be able to keep track of how many people saw the post. Any post that is less than three days old can be promoted. To do so, visit the sharing tool to create a post and located next to the “Post” and “Public” buttons will be a “Promote” tab. Clicking on the “Promote” drop-down menu will allow you to set your budget of how much you want to spend (such as $5 or $10) to highlight the post throughout the duration of the promotion. People will see promoted posts labeled with “Sponsored” in their news feed (not with other ads located in the right column of Facebook), whether they are accessing Facebook on a PC or mobile device. When they Like the post, comment or share, their friends will see it as well. 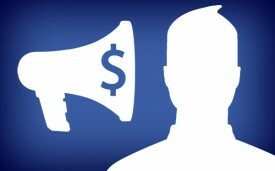 Similar with ads, you will be billed to the primary funding source designated in the Ads Manager section of your account, Facebook noted on the site. For more information on how to promote posts, visit Facebook.com/help/promote and check out the step-by-step gallery below. What’s your take on promoted posts? Do you think they’re a great way for businesses to get more attention, or will it clutter users’ news feeds? Let us know your thoughts in the comments. Want to Promote a Post? Click “Promote” to open this drop-down menu. Clicking on the denomination pulls up another drop-down menu. This menu lets you select the amount of money you’d like to put toward promotion, and it calculates the estimated reach for each amount. Add a Funding SourceIf you don’t have a credit card or PayPal account on file, Facebook will prompt you to enter payment info. Credit Card PaymentA pop-up window will ask for credit card information. Locked and LoadedWhen you’re ready to publish the post, you’ll see the promotion locked in. The Live PostWhen the post is live, Brand Page admins can see a notation on the bottom right that explicates the promotion cost; this is not seen by fans. However, Promoted Posts will be noted as “sponsored” in users’ news feeds. StatsOnce the post is live, you can click the “Promoted” button to see some statistics, such as “paid reach” and “budget spent” thus far. Promoted Posts last for 3 days, so the widget also lets you know when the promotion will expire. Clicking the settings button in this menu lets you change payment info or stop the promotion (which you can resume later). Real-Time InsightsYou can refresh the page to see how effective your promotion is. Less than 30 minutes after posting, these are the stats we saw on a small business Brand Page. Number of Fans ReachHovering over the “X people reached” hyperlink gives you a sense of the organic, viral and paid impressions generated by the post. Percent of Fans ReachedHover over the hyperlinked % statistic tells you what percentage of your fan base saw the post, and how much of that was driven by the paid promotion. A few minutes later, this statistic had jumped from 17% to 20%. Promote an Already-Live PostYou can promote an already-live post, which is a great feature — you can make sure the image or video looks right before you commit to spending money on it. Promoted Posts Must Be RecentSince the news feed algorithm focuses on new and popular posts, you can’t promote a post that’s more than three days old. You’ll see this warning when you hover over the bottom, right-hand corner of a post.